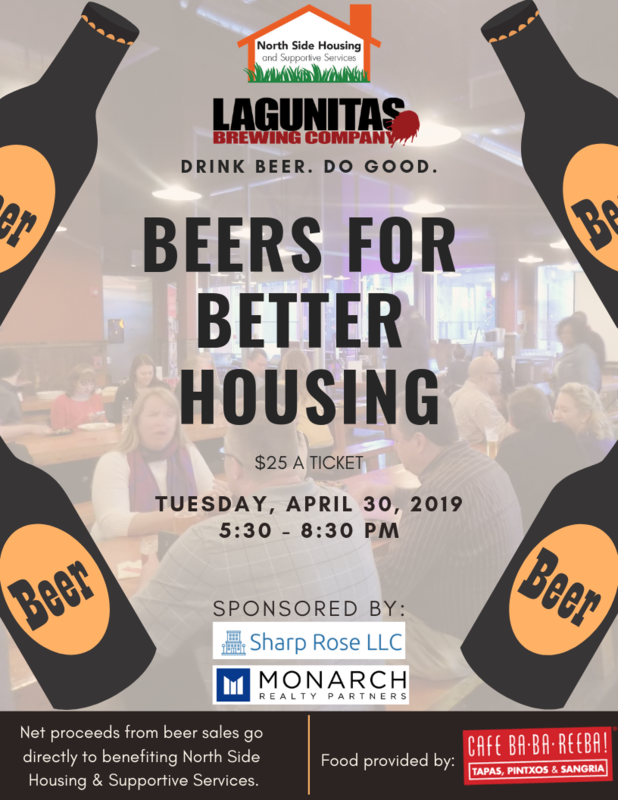 Join us at our annual fundraising happy hour, Beers for Better Housing, in the TapRoom at Lagunitas Brewing Company! Ticket entry buys you food that will be provided courtesy of Cafe Ba-Ba-Reeba and entry into our door prize raffle. All ticket sales and net beer proceeds will go directly to benefiting North Side Housing & Supportive Services so you can really give back to your community while drinking! The more you drink, the more we'll get so come thirsty! We'll be giving out door prizes and raffling off some exciting items, one of which will be 2 tickets to Second City.